Home > News > Aren’t there better causes to support? Why would you do a crazy thing like riding 100 miles to support a charity for people in prison? It’s the question that Shona Minson says she and her husband Andrew were asked multiple times as they trained for RideLondon100 this year — a 100-mile bike ride which took them 8½ hours. Prisoners are not easy people to care about. Unlike sponsoring a child or giving money to a cancer charity, it often surprises people when one of our supporters decides to do something big to fundraise for Prison Fellowship. And yet we have thousands of volunteers and supporters who firmly believe that supporting and praying for prisoners is the right thing to do — the Kingdom thing to do. One of those people is Adam Hansen. A secondary school teacher and a father of three, he is also an avid runner, cyclist and climber. A few years ago, he started volunteering for Prison Fellowship, regularly worshipping with the women in at HMP Downview, and taking an active role in the Angel Tree programme there. “I always leave the prison with a sense that the Holy Spirit has been at work in our lives”, he remarks. 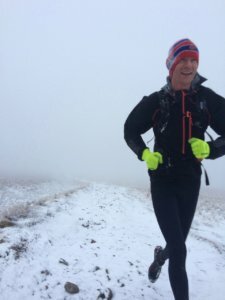 It’s this belief that God is present and active in prisons, and the connections made with prisoners, which has motivated Adam to sign up to take part in the Bob Graham Round next year — a 66-mile, 27,000ft circuit of 42 of the highest peaks in the English Lake District — all within 24 hours! Shona Minson has also seen first-hand the challenges facing prisoners. Having just completed a thesis on the way children are treated in our country when their mothers are sent to prison, she has also seen the damaging effect prison sentences can have on families. 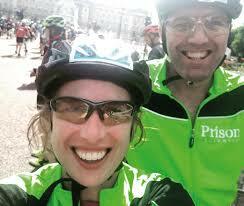 If Adam and Shona’s stories have inspired you, and you think you are up for the challenge, please get in touch. We can support you with materials and advice as you fundraise, and will loudly cheer you on as you go! In the process of fundraising, you allow your friends and family the chance to ask that big question: “Aren’t there better causes to support?” Your answer changes the attitude of society towards prisoners, one person at a time.